We are often asked "What is your favorite cruise line"? The honest answer is that it often changes as new ships come into the fleet. What is more important is "What cruise line and ship" is best for you. We provide a free consultation and ask many questions to recommend the best cruise line and ship for you based on a number of important factors. There are 62 cruise lines and 475 cruise ships at the end of 2016. Granted not all of them can be sold in the United States but there are more than enough to go around. 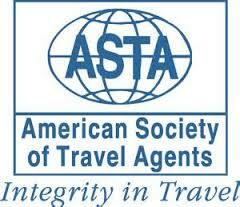 Less than 5% of travel agents in the US are certified by Cruise Lines International as Elite Cruise Counselors. By contacting us you can be assured that we are knowledgeable enough to find that perfect ship for you.